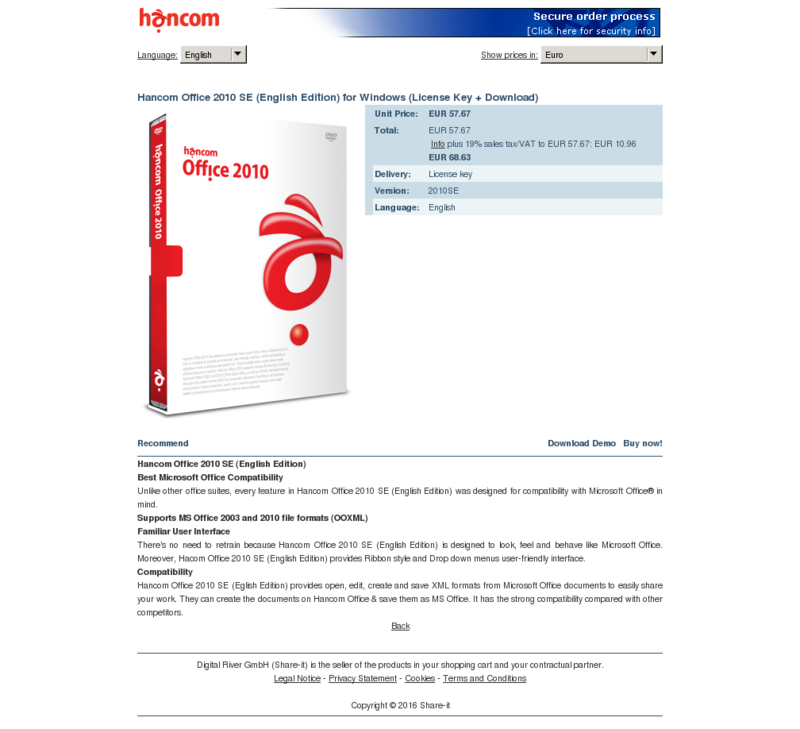 Unlike other office suites, every feature in Hancom Office 2010 SE (English Edition) was designed for compatibility with Microsoft Office® in mind. There’s no need to retrain because Hancom Office 2010 SE (English Edition) is designed to look, feel and behave like Microsoft Office. Moreover, Hacom Office 2010 SE (English Edition) provides Ribbon style and Drop down menus user-friendly interface.